This is a rare find and one we love! 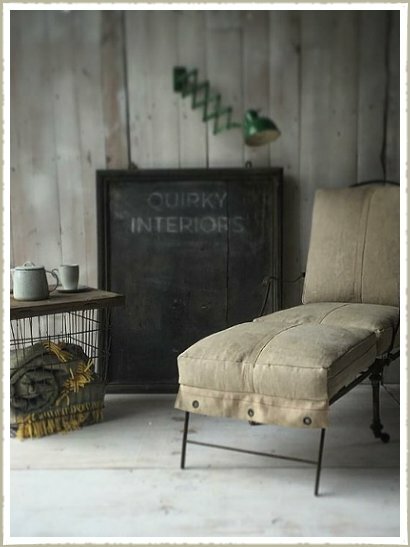 An antique Military Campaign Chair, folds up to creat an armchair, or can be extended to daybed size, as seen in the image. Upholstered in a gorgeous yet understated thick linen with some clever detailing. It is in great original, untouched-worn condition.